The holidays don't have to be a reason that your nutrition gets derailed. 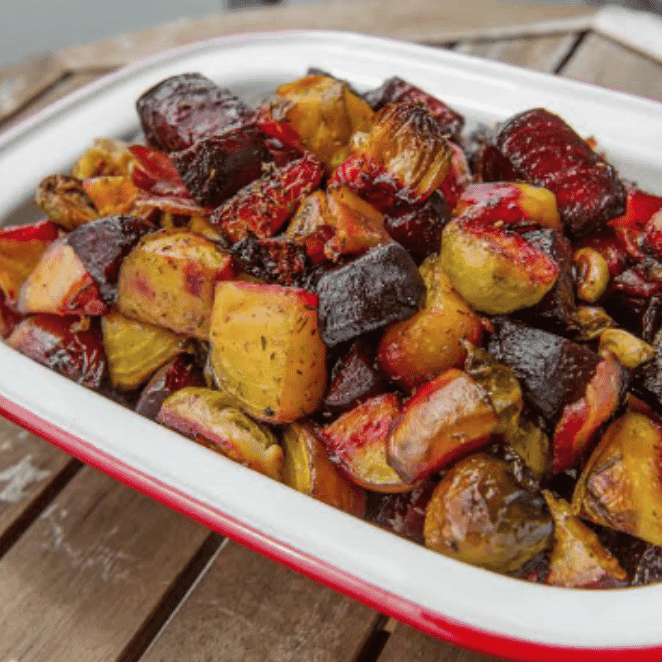 Side dishes can be an opportunity to get more LOCAL, SEASONAL vegetables onto your plate. The food on your plate should reflect what is in season in your area. WHY? Tastes better: Foods that are in season are not forced to grow in less that ideal situations. They are more nutritious and more flavorful than foods that are artificially ripened to be available out of season. Think of those tasteless winter strawberries, or tough out-of-season pineapples. Cheaper: Foods that are grown in season, are easier to grow. Farmers do not have to produce artificial environments for those products and thus the cost decreases. Higher nutritional value: Many phytonutrients quickly degrade the longer away from harvest the produce it. Vitamin C, Carotenes, and Folate will break down quickly after picking, therefore the longer food has to travel the less of these nutrients will be present and the more chemical preservatives the grocery stores will have to use to preserve the foods. Supports seasonal nutritional needs: Ever wonder why citrus is abundant in the winter? It's because your body needs the Vitamin C for an immune booster during the winter months. Summer foods provide beta carotene to protect from the sun's rays. Here is a delicious take on a warm winter salad from Stupid Easy Paleo.